Eyelid surgery, also known as Blepharoplasty is a Plastic Surgery procedure that addresses the aged appearance of the eyelids. As part of aging, we lose elasticity of the skin. This combined with the effect of gravity can cause skin sagginess and bags. Around the upper eyelids it is characterised by excess drooping skin (hooded look) and in some it is so excessive, that starts to interfere with their vision. Upper Eyelid Blepharoplasty can help revitalise the face, reduce the heavy, sagging upper eyelid appearance or may be for functional reasons to improve vision and heaviness of the eyelids and reduce headaches due to droopy eyelids. Lower Eyelid Blepharoplasty can help freshen and rejuvenate the face, reduce the puffiness and bags under the eyelids and give it a more youthful and rested appearance. 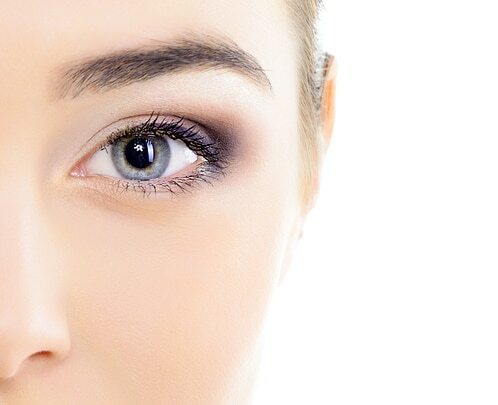 Blepharoplasty can be done as an isolated procedure or if needed in combination with other facial rejuvenation procedures such as a “Face Lift”. The procedure is done usually as a day-procedure without the need for overnight stay and usually takes about 1 ½ to 2 hours. Dr Safvat surgically removes the excess skin, muscle and fat from the upper eyelid as needed. Upper lid blepharoplasty may be combined with other facial rejuvenating procedures such as “lower Blepharoplasty”, or “Face Lift” surgery. The procedure is more involved than the upper-eyelid Surgery and patients are required to stay overnight in Hospital. Dr Safvat uses an incision on the inside of the eye (trans-conjunctival approach) to deal with the excess fat of the lower eyelid. The excess external skin is then removed (as needed) through an external incision just under the eyelashes. This way the muscles around the eye is left intact and not cut which greatly reduces the risk of complications. In addition, in young people as their skin elasticity is good they may not have excess skin that need excision, and therefore they will not have the external scar. The lower eyelid is then supported and suspended to the outer corner of the eye with internal sutures, this is called a canthopexy / canthoplasty. Dr Safvat believes in conservative removal of the orbital fat as to avoid the “gaunt look” to the eyes. In some cases the “aged look” around the eyes is caused more by mid face volume loss rather than bulging of the fat from the eye. In these cases restoration of volume to the mid-face either by a mid-face lift or by fat injection is more appropriate for those wishing to rejuvenate their appearance. Dr Safvat will carefully assess your face and advice on the most appropriate procedure that will address your concerns and desires. The eyelids will be swollen and bruised for 1-2 weeks. Cold packs are used to minimise this. Patients need to have 1-2 weeks off work to rest at home, and are not allowed to do any heavy lifting or exert themselves for 3-4 weeks. Dr Safvat will provide detailed instructions to his patients before surgery to enhance recovery. Upper Blepharoplasty, if done for functional reasons, has an Item number and patients should get a rebate from Medicare and their health fund as well as be covered for the hospital costs depending on their level of cover. However if it is done for cosmetic reasons, will not be covered by Medicare or the health funds. Lower Blepharoplasty is considered a cosmetic procedure. Dr Safvat and his Team will discuss all costs associated with the procedure at the first consultation. Any surgical procedure can be associated with some general Complications. These include risks associated with general anaesthetics and infection. Having your procedure done in an accredited hospital minimises these risks. Dr Safvat prescribes antibiotics upon discharge to minimise infection risk. Dr Safvat will go through all the risks thoroughly with the patients in the consultation.